Today Google GOOGL +4.85% has announced that Google Earth Pro is now available for free. Google Earth Pro used to cost $399 per year. Google Earth is a geospatial software application that displays a virtual globe, which offers the ability to analyze and capture geographical data. Google Earth was created after Google acquired CIA-funded Keyhole Inc. in 2004. Under Keyhole, the application was known as EarthViewer 3D. The Google Earth desktop client hit the billion download mark in October 2011. There are several differences between the free version of Google Earth and Google Earth Pro. The free version of Google Earth lets you print screen resolution images, whereas Google Earth Pro offers premium high resolution photos. The free version of Google Earth requires you to manually geo-locate geographic information system (GIS) images, but Google Earth Pro helps you automatically find them. And the free version of Google Earth only allows you to import image files that are up to a max texture size, but Google Earth Pro offers Super Image Overlays that are more than the max texture size. Interior of the Manot Cave in Israel's Galilee, where a 55,000-year-old skull sheds new light on human migration patterns. 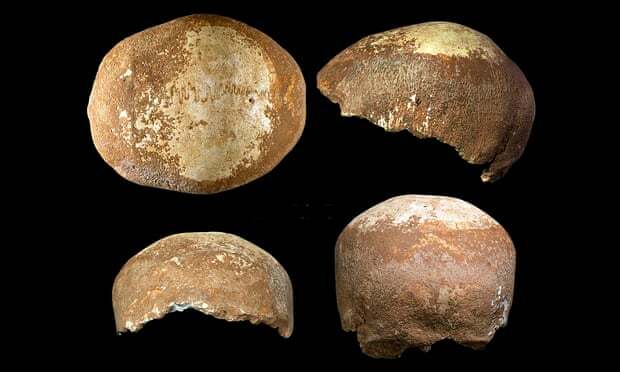 Now, researchers describe a partial skull that dates to around 55,000, which was found at Manot Cave in Israel's Western Galilee. 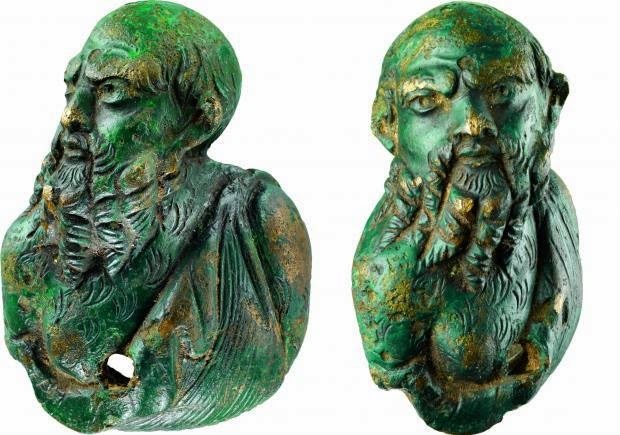 Pintia, Spain—At an archaeological site in north central Spain, an archaeological team has been uncovering prolific finds that testify to a civilization that occupied a region of Spain long before the Romans arrived and conquered. The archaeological area measures about 125 hectares and contains the remains of human occupation spanning more than 1,000 years. 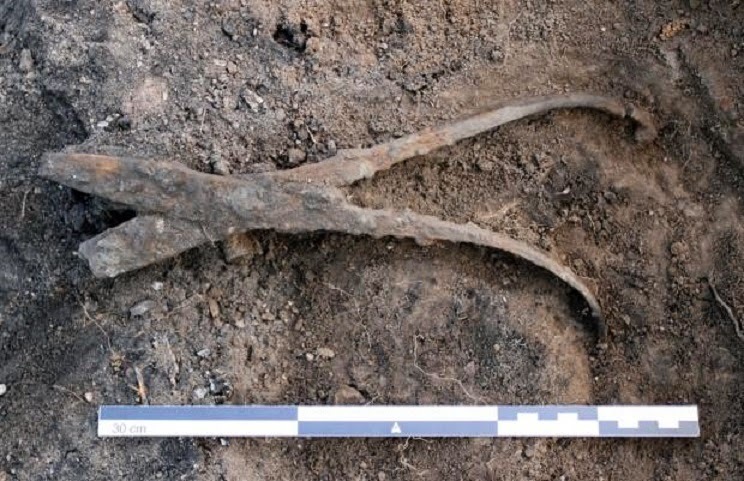 Recently, archaeologists have recovered numerous artifacts from 2,500-year-old burials, particularly cremation tombs, that have provided a window on the Vaccean culture, an Iron Age people who lived and thrived in the area for several centuries BC, before the arrival of the Romans. 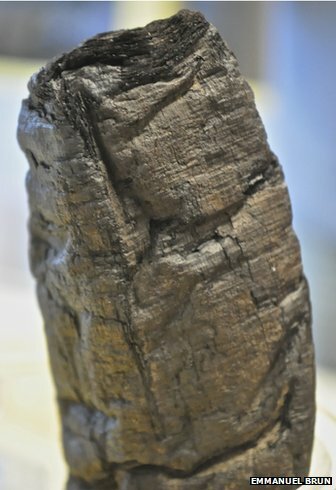 The contents of hundreds of papyrus scrolls that were turned into charcoal during the eruption of Italy's Mount Vesuvius in 79 AD - one of the great natural disasters of antiquity - have long remained a mystery. That soon may change. Scientists said on Tuesday a sophisticated form of X-ray technology has enabled them to decipher some of the writing in the charred scrolls from a library once housed in a sumptuous villa in ancient Herculaneum, a city that overlooked the Bay of Naples. The library was part of what's called the Villa of the Papyri, which may have belonged to Julius Caesar's father-in-law. Other libraries from antiquity have been discovered but this is the only one that had its scrolls still present. For the first time, words have been read from a burnt, rolled-up scroll buried by Mount Vesuvius in AD79. The scrolls of Herculaneum, the only classical library still in existence, were blasted by volcanic gas hotter than 300C and are desperately fragile. Deep inside one scroll, physicists distinguished the ink from the paper using a 3D X-ray imaging technique sometimes used in breast scans. They believe that other scrolls could also be deciphered without unrolling. The special tool-wielding power of human hands may go back further in evolutionary history than scientists have thought. 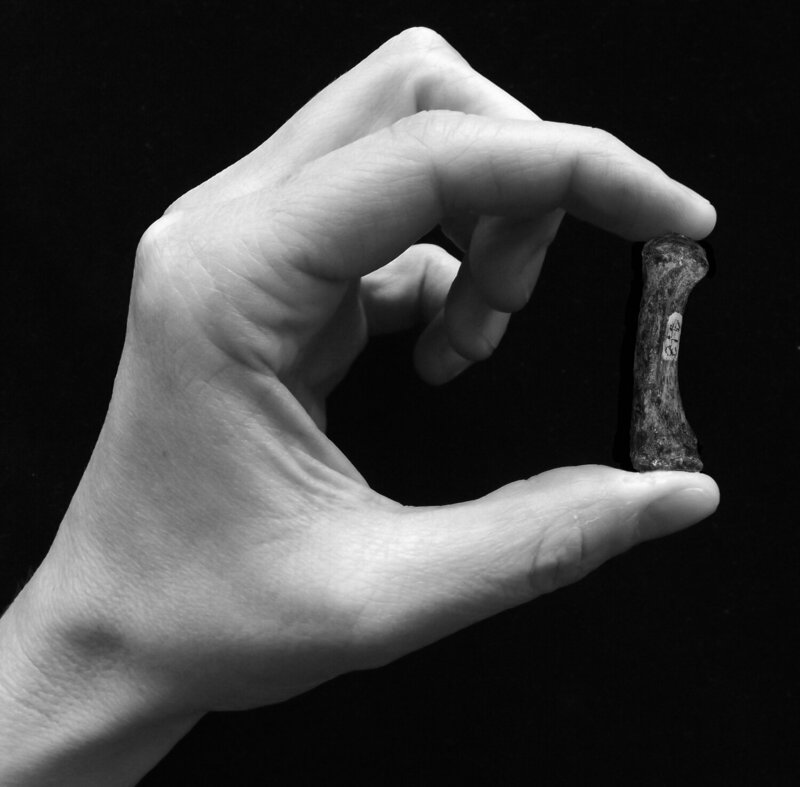 That's according to a new study of hand bones from an early relative of humans calledAustralopithecus africanus. Researchers used a powerful X-ray technique to scan the interior of the bones, and they detected a telltale structure that's associated with a forceful precision grip. 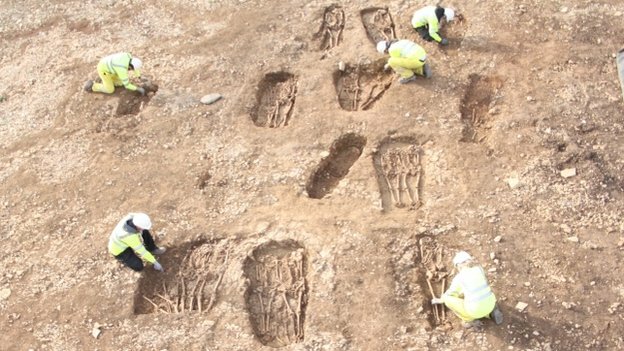 A Dark Ages cemetery and more than 100 burials has been unearthed at the site of a new nuclear power station. The discovery is one of many by archaeologists who have spent years excavating ground where Hinkley Point C is being built in Somerset. Flint tools dating from the Neolithic and Bronze Age periods and Roman building remains were also found. All the results of the dig, which began in 2012, are being revealed in an exhibition at the Museum of Somerset. 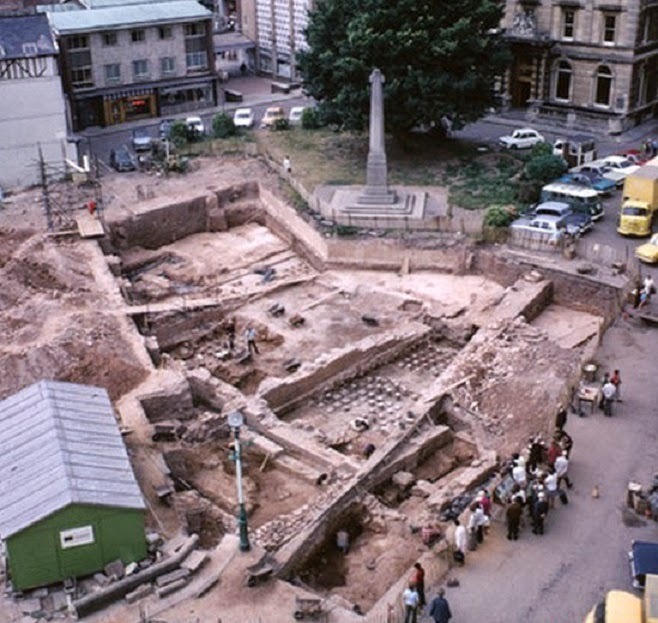 A set of "internationally significant" Roman Baths which lay hidden for almost 2,000 years could be opened to the public in a restoration project announced by Exeter Cathedral. 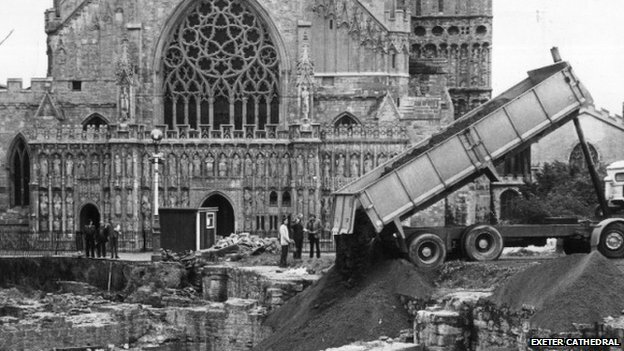 The site was discovered in 1971 but due to a lack of funds was reburied under the cathedral green to protect it. A bid for £8.7m has now been submitted to the Heritage Lottery Fund (HLF). Roman archaeology specialist Dr Martin Pitts said the site "is of major significance". A well-stocked grave of a blacksmith from the Viking Age is one of the best finds in Norway last year, according to Norwegian archeologists. Leif Arne Nordheim, who lives in Sogndalsdalen on Norway’s west coast, decided to do something about some flagstones in his garden that irritatingly refused to lie flat. When he removed the stones he caught sight of something made of iron. Brushing some of the objects off, he recognised them as a blacksmith’s hammer and tongs. Nordheim contacted the regional culture authorities but had not dreamed that the artefacts dated back to the early Viking Age. Archaeologists have discovered evidence of unknown medieval fortifications which may indicate the presence of Hussite clashes near a small village in Poland. Discovered buried in wooded foothills near the village of Bieździadka in south-eastern Poland, the site was examined by archaeologists Joanna Pilszyk and Piotr Szmyd. Based on the report fromScience and Scholarship in Poland (PAP), the fortifications were discovered underground using sophisticated laser detection and aerial mapping. The fort is to have sat on top of a plateau with steep sides, the sheer slope and height of over two meters (6.5 feet) naturally protecting the stronghold. 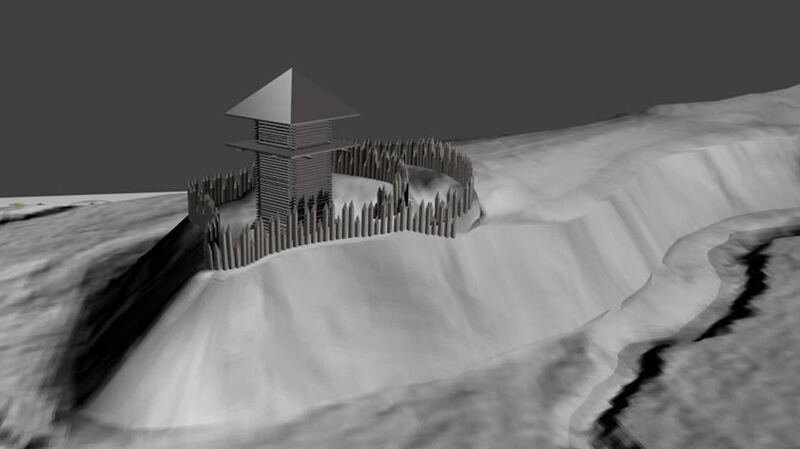 Moats were believed to surround the site, and high fences or palisades are likely to have run along the perimeter. The age of the fort is not known, but researchers say it was probably built during the Middle Ages. A multi-purpose bone tool dating from the Neanderthal era has been discovered by University of Montreal researchers, throwing into question our current understanding of the evolution of human behaviour. It was found at an archaeological site in France. 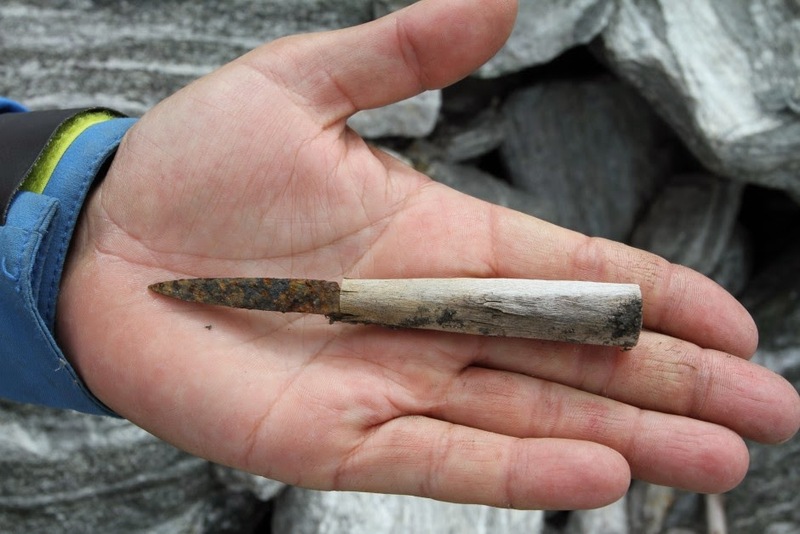 "This is the first time a multi-purpose bone tool from this period has been discovered. It proves that Neanderthals were able to understand the mechanical properties of bone and knew how to use it to make tools, abilities usually attributed to our species, Homo sapiens," said Luc Doyon of the university's Department of Anthropology, who participated in the digs. Neanderthals lived in Europe and western Asia in the Middle Paleolithic between around 250,000 to 28,000 years ago. Homo sapiens is the scientific term for modern man. The production of bone tools by Neanderthals is open to debate. For much of the twentieth century, prehistoric experts were reluctant to recognize the ability of this species to incorporate materials like bone into their technological know-how and likewise their ability to master the techniques needed to work bone. However, over the past two decades, many clues indicate the use of hard materials from animals by Neanderthals. "Our discovery is an additional indicator of bone work by Neanderthals and helps put into question the linear view of the evolution of human behaviour," Doyon said. Archaeologists searching for a lost 17th century town say the remains of a fireplace, found in a field near a medieval Irish coastal castle, was part of a previously unknown settlement which could have been established 200 years earlier. Radiocarbon dating from the clay floor of a structure, discovered by the Northern Ireland Environment Agency, suggests an earlier community could have lived in Dunluce during the late 15th and 16th centuries. 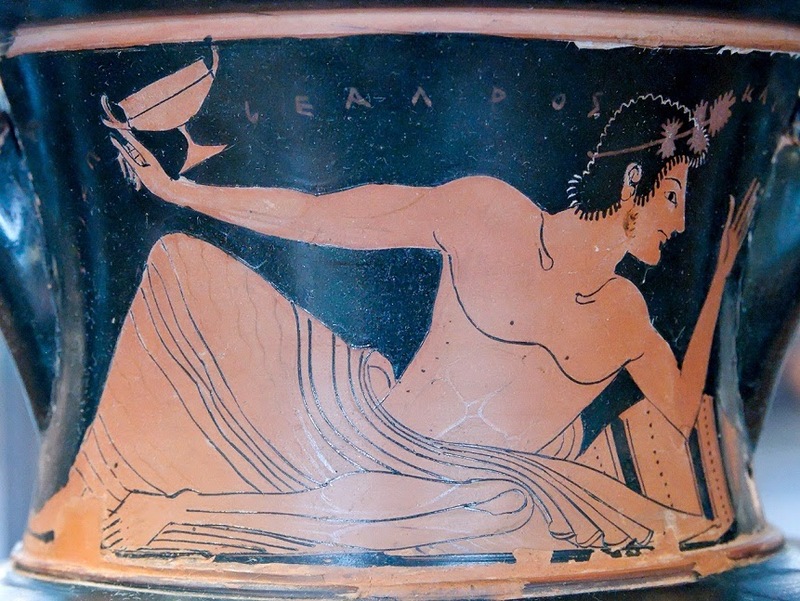 Years before beer pong was invented, the ancient Greeks played kottabos to pass the time at symposia (drinking parties) where privileged men reclined on cushion couches and played the game that is found illustrated on ancient artworks. Women of fine society didn’t attend symposia but hetaires (courtesans) played the sloppy game where winners received all sorts of prizes, such as sweets and even sexual favours. Viking Artefacts is an interesting blog run by Thomas Kamphaus. "Why interested in vikings ?" Well, I guess every man approching it's 40-ies has a right for developing a strange hobby. It thrills me more than the collecting of sugar sackets. Seriously: I have always been attached to history, and in general the period from 500 - 1200. The Frankish/merovingian period and then the viking period. Collecting artefacts just have seemed to pop up out of the blue . The viking craftmanship in several to considered styles I find very acctractive. Compared to the number of Roman artefacts p.e. the vikings - although excavated intensively the last 25/35 years - always stayed a sort of elusive and mysterious to us what sets them apart of other cultures. 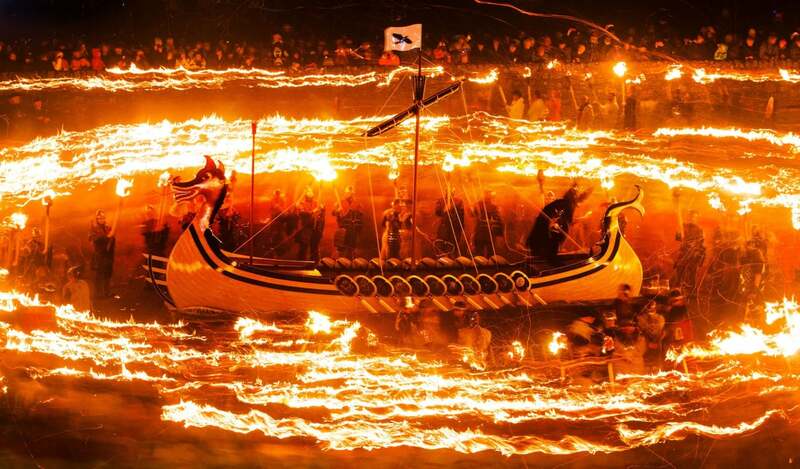 Archaeological findings show that Vikings from mid- and western Norway were among the first to make the trip to the British Isles. Vikings living in Trøndelag, a region in the middle part of Norway, were among the first in Scandinavia to travel west. A new analysis of burial sites in Trøndelag from the year 800 and later undertaken by researchers at the NTNU University Museum is giving us a clearer image of who decided to stay in Norway, and who left to travel to the British Isles. The burials sites examined contained a lot more foreign artefacts than previously believed, many of which coincide the first known Viking raids in Lindisfarne, England in 793. 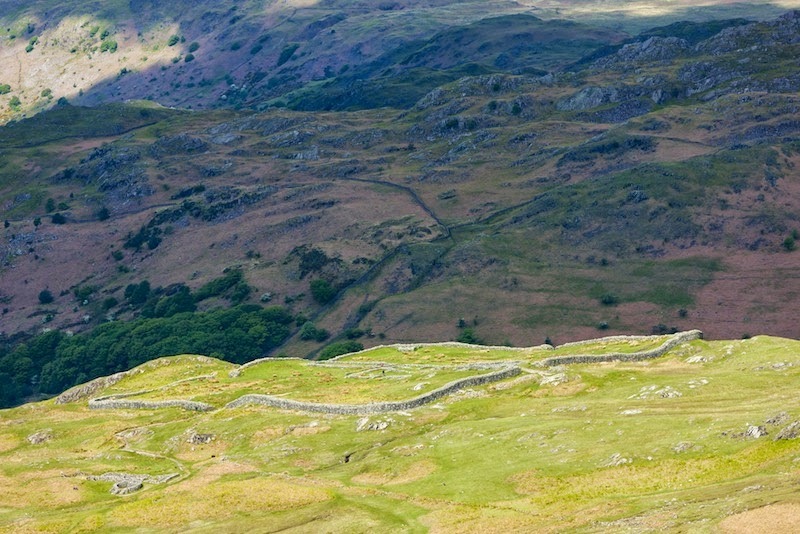 The gateways of an ancient Roman fort in Britain are roughly aligned with the light from the sun during the summer and winter solstices a design that would have resulted in a striking scene on the shortest and longest days of the year, a researcher says. The fort had four gateways facing one another. During the summer solstice, the sun would rise in alignment with the fort's northeastern and southwestern gates, and set in alignment with its northwestern and southeastern gates, the researcher reported in the new study. During the winter solstice, the sun would rise in line with the fort's southeastern and northwestern gates, and set in line with the fort's southwestern and northeastern gates. Les archéologues de l’Inrap fouillent le château de Rodemack, sur prescription de l’État (Drac Lorraine), dans le cadre de sa réhabilitation par la Communauté de communes de Cattenom et environs. Après une opération de quatre mois en 2013, cette seconde campagne de fouille qui démarre, durera jusqu’en octobre 2014. Elle concerne plusieurs zones du château, rénové au XIXe siècle, notamment son noyau originel des XIIe-XIIIe siècles, sur une emprise de 7 500 m2. Place-forte très convoitée, le château de Rodemack est implanté près de trois frontières, celles du duché du Luxembourg, des pays germaniques et du duché de Lorraine. L’archéologie permet de renouveler son histoire et de retracer notamment son riche passé militaire. Would you be beautiful in the ancient world? In ancient Greece the rules of beauty were all important. Things were good for men who were buff and glossy. And for women, fuller-figured redheads were in favour - but they had to contend with an ominous undercurrent, historian Bettany Hughes explains. A full-lipped, cheek-chiselled man in Ancient Greece knew two things - that his beauty was a blessing (a gift of the gods no less) and that his perfect exterior hid an inner perfection. 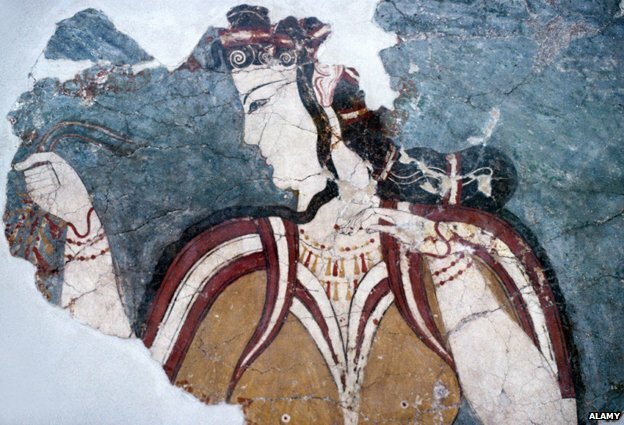 For the Greeks a beautiful body was considered direct evidence of a beautiful mind. They even had a word for it - kaloskagathos - which meant being gorgeous to look at, and hence being a good person.